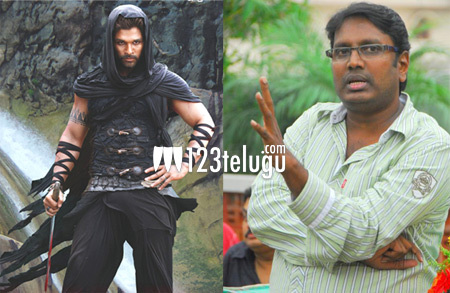 Gona Ganna Reddy has shades of Robin hood – Gunasekhar. After a lot of speculation and curiosity, Allu Arjun was finalized to play the role of Gona Ganna Reddy in Gunasekhar’s Rudramadevi. The first look of Bunny as Gona Ganna Reddy was released yesterday, and it has evoked huge response from all corners. “Allu Arjun’s role will go down as one of the most memorable performances in the history of Telugu cinema. His role is designed like that of Robin hood and will appeal to both the masses and the classes,” said director Gunasekhar. The movie is getting ready for a Sankranthi release, and Anushka plays the titular role of Rudrama Devi in this period drama. Rana Daggubati and Baba Sehgal also play important roles in this flick.